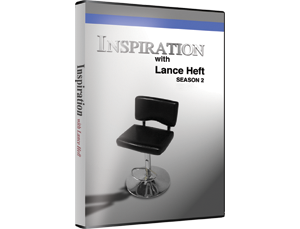 "Inspiration with Lance Heft" is a 30-minute studio and on-location production featuring business leaders, artists, and entertainers sharing their personal stories through in-depth interviews. The show's format provides guests the opportunity to reveal what truly inspires their success, prosperity and contentment in their professional and personal lives. The show features guests from all walks of life, but with one common thread: they have achieved a life that encompasses their passions and have shared their unique gifts with the world. The show's primary pillars are finding the purpose, the resiliency and determination of the human spirit, success, passion, and interconnection. Viewers will see living examples of happiness, contentment, and generosity that will serve as a model for their own lives. The show's premise explores our achievements, our connections with one another, our family history, technology and the modern world. Featured guests share the challenges and obstacles they have overcome and reveal how they have turned their dreams into reality. There is an intrinsic value to knowledge that is gained from shared experiences. People relate to inspiration that shows that we can emerge wiser and stronger from setbacks, exemplifying that we are secure in our ability to survive. We will never truly know ourselves, or the strength of our relationships, until both have been tested by adversity. Such knowledge is a true gift. In a world of over-generalized news features, reality showboating, and recycled sound bites, Inspiration with Lance Heft offers an intelligent "unplugged" type of program, with an authenticity and intimacy rarely seen today. Lance's low-key style keeps the focus on the guests, giving them the time and space they need to candidly tell their own very personal story. Lance is a highly successful business leader who owns several companies including Briitestar Entertainment, a production company that creates broadcast programming, documentaries and feature films, as well as corporate and educational videos. Simon is an accomplished documentary film director, a talented cinematographer, and a highly skilled video editor whose work has garnered him four Addy Awards, two Houston World Fest Awards, and two Metropolitan Corwin Awards. Simon earned a Bachelor of Arts in Film Studies at the University of California at Santa Barbara and attended graduate school at California State University at Northridge, where he was recognized as a Student Academy Award Finalist. Simon's personal commitment and dedication to his craft has resulted in his directing, producing, shooting and editing a wide range of domestic and international projects. These range from feature films, music videos and documentaries to corporate films and national television commercials. Damon's start in the entertainment industry began in 2001 when he landed a position as a production assistant with Ten Thirteen, the production house that produced "The X-Files". 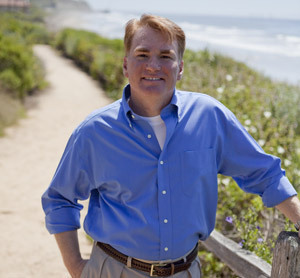 Working directly with executive producer Chris Carter, Damon saw firsthand how to develop and run a successful show, and his experience grew from there. His credits include: "The Lone Gunman", "Robbery Homicide Division", and "Night Stalker". Damon wrote and co-produced his first independent feature "Better Tomorrows" which premiered in Santa Barbara in 2006. Susan has played a key role in the success of many special events and television shows ranging from "The Academy Awards" to "Late Night with Conan O'Brien", "The Jimmy Kimmel Show", and NBC's "The Sing Off" with Nick Lachey. Additional credits include: ABC's "The Great Domestic Showdown", Woodstock '99, The Sundance Film Festival, "Disney Presents, President Clinton at Radio City Music Hall," "The Miss America Pageant", "i2i with Kurt Loder" and various HBO and MTV Specials. Susan has earned three team Daytime Emmy Awards, two of which came from her extensive work as a Contestant Manager for Who Wants to be a Millionaire with Regis Philbin. During the time she organized and coordinated over 4,000 celebrities and contestants. Diane T. Creston, president/creative director/producer of New York based Creston Advertising & Marketing, Inc., is an award-winning marketing and branding expert. Creston's client campaigns include Sony, Behrman Capital LP, Samsung, Revlon, Cabbage Patch Kids, Government of Puerto Rico, author Steven H. Scheuer, and TV Host, Life Mentor/author, Lance Heft, among others. Creston's film/video distribution network includes the United States, Europe, South America and the Pacific Rim. Creston is also a member of The Society of Industry Leaders (SIL), a carefully selected Vista Research global network of thought and industry leaders representing 114 countries in 14 core verticals and 45 sub-verticals. Vista is a subsidiary of Standard & Poors.